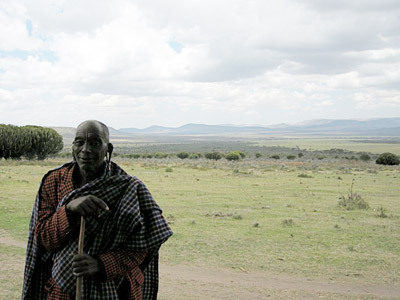 In the second part of his 2-part blog, Carl Soderbergh reflects on a land rights issue which is confronting Maasai in Loliondo District of northern Tanzania. See Part 1 here. While the Maasai whom Lucy and I met in Loliondo are not directly affected by what is happening to those living in the Ngorogoro Conservation Area, they follow it with concern. More particularly, they have their own land problems. This was most vividly described to us by Sandet Reiya, elder of Mondorosi sub-village. Mondorosi lies to one side of a valley, the sides of which are dotted with several other smaller sub-villages. In the middle of the valley is a large stretch of mixed savannah and forest. The seasonal Pololet river flows through the valley. When Lucy and I arrived in Mondorosi, there were easily 150 men and women waiting to talk to us about their problems. We sat around an acacia tree and gazed out over the valley unfurled below us. In the far distance, I could see the silhouettes of giraffes loping across open ground. 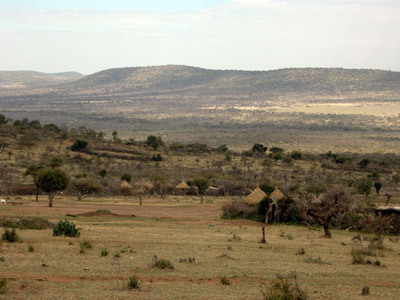 The placement of the sub-villages follows Maasai traditional good husbandry practices – their communities are built away from the open areas in order to reserve the best land for their cattle. This practice was drastically curtailed in 2006 following the purchase of over 12,000 acres across the middle of the valley by Tanzania Conservation Limited (TCL), a company linked to the American tour operator Thomson Safaris. TCL bought the land from the state-owned Tanzanian Breweries Ltd. (TBL). TBL’s title dated from the 1980’s but had been disputed by the local communities, who complain of improprieties at the time of the sale. In particular, there are questions concerning whether the Maasai who signed the sale agreement with TBL really had the authority to do so. The communities lost their claim in court and were sadly too impoverished to keep travelling to Arusha in order to follow up the case, missing their opportunity to appeal. At any rate, TBL only cultivated 700 acres and did not establish possession over the rest of the land, so the Maasai of the area continued to graze their livestock on the stretches of savannah above Pololet river. While questions remain regarding TBL’s title, a further issue is whether the open stretch of land in the middle of the valley was TBL’s to sell and TCL’s to buy. It may largely be open ground, but it was not unoccupied. The fact that there are wild animals there to look at is not an accident. 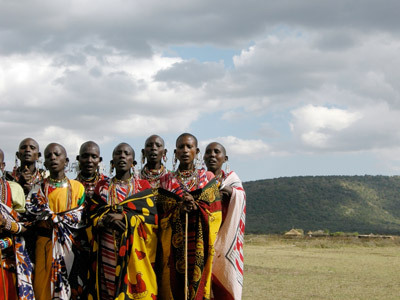 It is very much due to the Maasai communal approach to land as well as their traditional respect towards wildlife. In short, the valley was not Terra nullius. When Thomson moved in, they sought to create a wildlife sanctuary on the property. Villagers state that Thomson security guards used force to evict Maasai caught grazing on the land. Bomas, the thorn-bush cattle pens typical of Maasai settlements, were reportedly burnt down, and men and boys caught herding livestock on the property are alleged to have been beaten and taken to the police. One clear sign of the violence was the fact that when we drove between communities on the access roads that run along the edges of property, the boys herding goats or cattle would run and hide when they saw us coming. Everywhere else, the young goat-herders would stand alongside the track, waving and laughing as we drove by. While Thomson dispute the accounts, Lucy and I met two victims, as well as many others who described helping those who had been beaten. One of the victims is David, a man in his twenties whom we met in Mondorosi. He described being caught near Pololet river in 2007. Six Thomson security guards ordered him to get into their vehicle. When David refused, the security guards kicked him and beat him with sticks. David was pushed to the ground; one man sat on his chest and held him by his throat. The beating lasted an hour, David said. He rolled up his trouser legs and showed us the scars. David was taken to the police station in Loliondo, where he was held for 24 hours. He did not receive food, water or any medical help. He was released after the community raised 100,000 Tanzanian shillings. The involvement of the police appears to form a pattern and explains why the victims have not dared to bring charges against their assailants. Another Maasai was shot in the jaw in 2008, when he and nine others demonstrated on the property; police arrived and started shooting when the group refused to disperse. At each of the meetings, Lucy and I asked the women who were present how they viewed the situation. I was struck by the response we got from the women of Sukenya sub-village, who otherwise praised Thomson for the income-generating scheme it had introduced – namely a market for handicrafts to which it brings its visitors. These women are presumably benefitting from Thomson’s presence. And yet they also emphasized that access to land is a gender issue, since it affects their families. It is their children who are being beaten, they said. On our final day, Lucy and I were invited to the PWC women’s choir graduation ceremony. The songs were beautiful, and some of the women began crying while they were singing. One of the songs was about the land issue. With tears streaming down her face, the chairwoman of the choir stepped forward and pointed towards the children sitting off to one side. She said that their children are being beaten and some are getting lost in the bush as they run away. Lucy and I met with Thomson representatives on the last day of our visit to Tanzania. 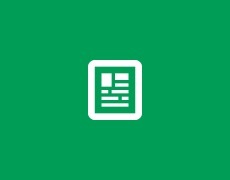 They expressed an interest in a mediated solution. We welcomed this, given the strong emotions the situation arouses. Indeed, Maanda Ngoitiko, Coordinator of PWC, put it simply. She said, “Since Thomson came, I have had no peace of mind.” At the same time, the Thomson representatives vigorously denied all accusations of violence, saying variously that it had only occurred during the days of TBL, that it had been exaggerated because of the political ambitions of local NGOs, and that it was due to inter-clan rivalries – something that we as foreigners could not comprehend during such a short visit. In my mind, though, none of Thomson’s arguments explains why those little boys ran away and hid in the brush, leaving their goats and cattle untended, whenever they saw us coming in our 4-wheel drive vehicle. And when we parted company, I wondered what Thomson’s customers would make of the fact that their very presence strikes terror in the heart of young boys. 1. David’s name has been changed to protect his identity.